Last Christmas, I went to Madison Square Garden to watch the Chicago Bulls take on the New York Knicks. After the game, I hopped on the Acela and went to DC as fast as I could. I wanted to get in front of a TV, as soon as possible, to see the Miami Heat take on the Los Angeles Lakers. I expected a big game, but what I got was a blow out. The Heat dominated the Lakers, and I was left disappointed. All I wanted for "basketball Christmas" were victories for the Knicks and the Lakers, but I was only .500. Well today isn't Christmas, but TNT is giving us a great doubleheader. The Knicks and the Lakers are in action tonight. The early game (i.e. 7PM ET) has the Los Angeles Lakers in Miami taking on the Heat. I'm taking a shot and calling it right now. I think the Lakers win tonight. They're on an 8-game win streak, and I think they'll get their 9th win tonight. As a result, I predict that the Heat will lose, increasing their unenviable streak to 6 losses in a row. I want the Lakers and Kobe Bryant to avenge the loss on Christmas Day. 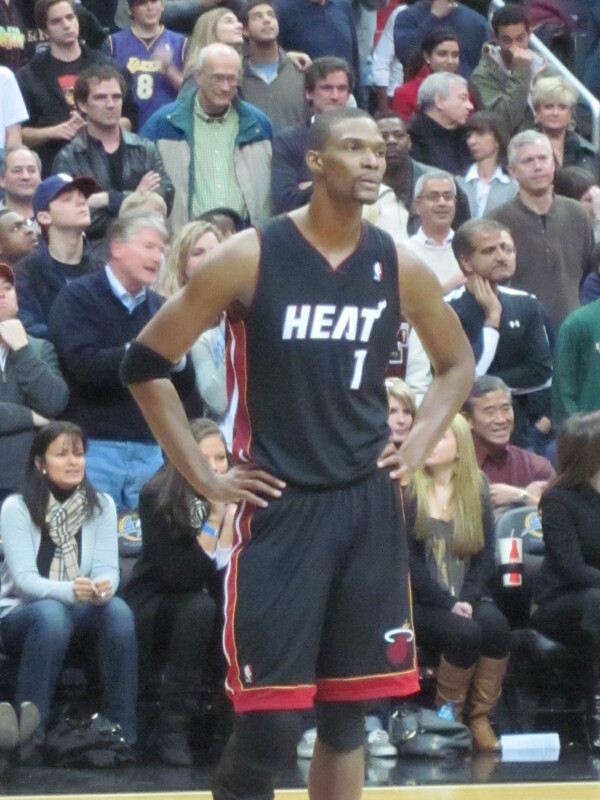 Further, I want to see how Chris Bosh tries to prove his value after his absurd statements following Tuesday's loss. **** I won $5 when the Portland Trail Blazers beat the Heat, and I'm ready to go double or nothing with my friend. ﻿﻿As for the New York Knicks v Dallas Mavericks game tonight (i.e. 9:30 PM ET), I don't really know who I want to win. I like Amare Stoudemire and Dirk Nowitzki. I still need to see the new-look Knicks live now that Carmelo Anthony is on the roster, but I might just hold off and wait for the playoffs. **** Wow, it felt good to type "Knicks" and "playoffs" in the same sentence sans sarcasm. Ultimately, I'm just hoping for a competitive game. 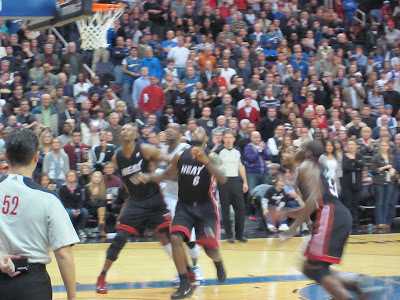 **** I took the pictures used for this post at the Heat v Wizards game on December 18, 2010.